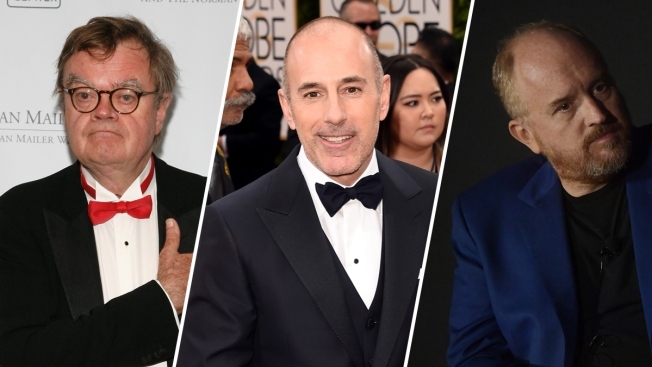 As more than two dozen men have lost media jobs or projects after sexual misconduct accusations in the last several months, their departures have opened doors for a handful of women. The wave of accusations has led to other changes as well, leading to hopes that newsroom culture is improving for women in media. Digital media company Vice says it will hire more women and pay them the same as men. And more women are speaking up about harassment and unfair pay, and pressing for better treatment. Historically, there have been far fewer women than men in news organizations. Women have made up about 36 to 38 percent of newspaper newsrooms for roughly the last 20 years, said Scott Reinardy, a journalism professor at the University of Kansas who has studied newsroom employment. In local TV news, it's more balanced, according to Radio Television Digital News Association research, but men are still more likely to be news directors. And a March 2017 report by the Women's Media Center, a non-profit group started by Jane Fonda, Robin Morgan and Gloria Steinem, found that male journalists got more bylines and reported on-air more often than female counterparts. "I think you'll see more awareness in hiring, who is in those positions of power," Reinardy said. "Women will have more voice and more say about what goes into the programming and the news coverage." Longtime "Today" show anchor Matt Lauer was fired from NBC News within days of a colleague reporting "inappropriate sexual behavior." PBS replaced Charlie Rose, fired after several women complained of unwanted sexual advances, with a Christiane Amanpour program in the first half-hour and a BBC show co-hosted by Katty Kay and Christian Fraser, for the second half-hour. "We weren't necessarily looking only at news and public affairs shows featuring women to fill that slot," said PBS spokeswoman Jennifer Byrne. "But we're really happy to have these two incredibly respected female journalists in that time slot." Showtime's political TV show "The Circus" is replacing Mark Halperin with Alex Wagner of CBS News and the Atlantic magazine. (There had been discussions about her joining the show as a regular before Halperin lost his job over accusations of lewd behavior and unwanted advances.) Co-host Mark McKinnon said having a woman in the role is a positive. Since the sexual-harassment scandal that rocked Fox News began in 2016, more women have come into top positions behind the scenes, including Suzanne Scott, promoted to president of programming in May. Of course, for decades there have been famous women on TV news and in other media. But on TV, female news stars "were more the exception," said Kate O'Brian, a media consultant and former ABC News executive. That had already been changing in recent years. The reporters trailing Hillary Clinton before the 2016 presidential election were mostly female, for example. But there's still a long way to go toward parity overall, both in front of the camera and behind the scenes, O'Brian said. The decision comes a day after eight women accused Charlie Rose of sexually inappropriate behavior. There is also a push for change beyond promoting individual women to big-name jobs. Vice, a digital media giant that has suspended top executives and apologized for its "boys club" culture, promised to make half its workforce female "at every level across the organization" by 2020 and to have "pay parity" by the end of this year. Women generally make less than men, even when they're famous. 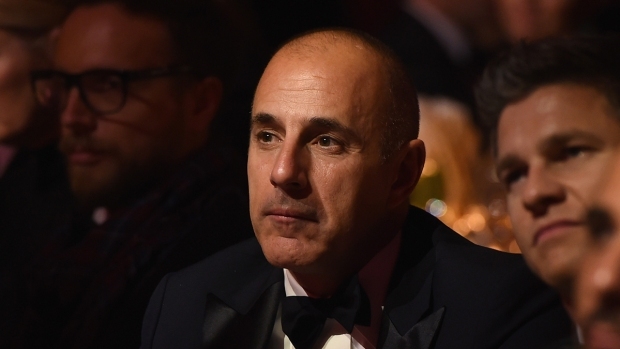 Kotb took Lauer's job at a salary lower than his, she told People magazine. Female journalists have spoken up about this recently. A BBC China editor resigned her job in Beijing over gender-based compensation gaps. An E! News host quit because she said her male co-host made much more than her, and actress Debra Messing called out E! on the red carpet at Sunday's Golden Globes on gender pay equity. Women are also speaking up about bad treatment, both individually and together. A new support network, Press Forward, is pushing to make the TV news business more equitable. Some companies may already be taking a tougher stance against sexual misconduct beyond firings. When it fired Charlie Rose, CBS News said it would do "more personal and direct training" to combat harassment than it had before. NPR held "listening sessions" with small groups of people, which brought up concerns over harassment but also race and gender inequities and more, after allegations against former news head Michael Oreskes and former news editor David Sweeney, said NPR chief operating officer Loren Mayer. NPR now has a peer support group for those who aren't sure they want to go to HR. "This is a period of opportunity for all media because certain questions are being opened up. There's room for a certain kind of conversation and self-examination," said Melanie Sill, a news consultant with the Democracy Fund, a bipartisan foundation, and the former vice president of content for Southern California Public Radio and former editor of the Sacramento Bee newspaper. How media organizations deal with employees accused of wrongdoing has also led to divisions in newsrooms. When the New York Times suspended and reassigned reporter Glenn Thrush from the White House beat after allegations against him of unwanted sexual advances, some employees approved and others thought the punishment did not go far enough, said Carolyn Ryan, assistant managing editor at the Times. It's still unknown whether the current changes will have any lasting impact on the industry. Newsrooms could do more to improve the situation for women — and men, too — O'Brian said, like improving parental leave and flexible work policies. "It would be a shame for everyone to think that just getting a few new people, new faces solves the problem," Sill said.